I think, most of the SCCM admins missed this latest Windows 1809 ADK change. 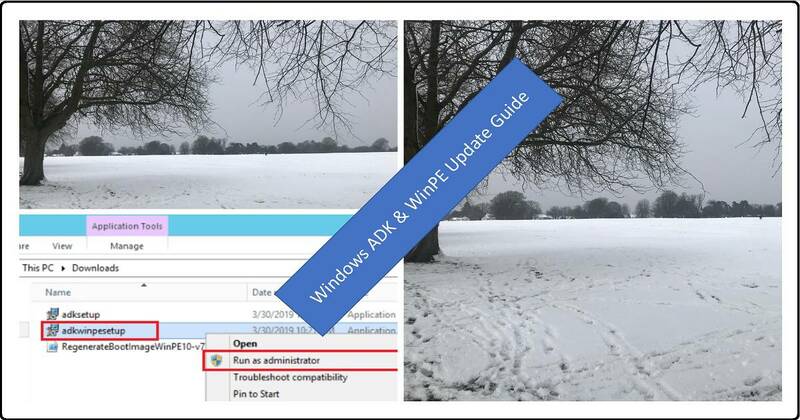 In this post, you will see what are the ADK and WinPE changes concerned for SCCM admins. I also share the best practices to update Windows ADK and WinPE to the latest version on SCCM server. 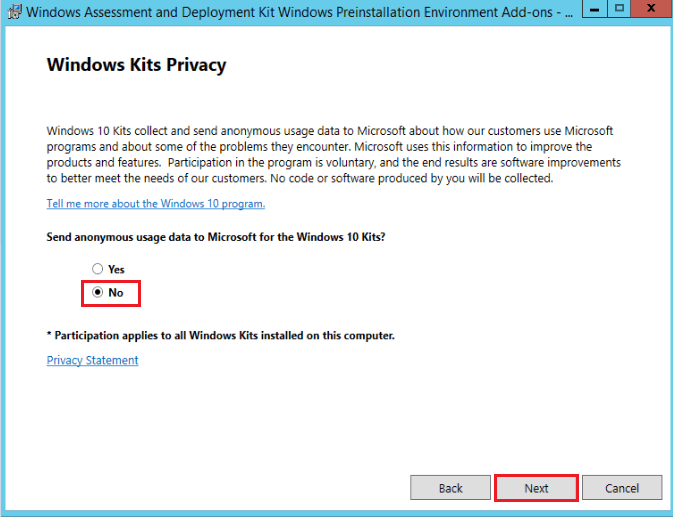 Starting from Windows ADK 1809, Microsoft has changed Windows Preinstallation Environment(WinPE) tool is released separately from the Assessment and Deployment Kit (ADK). 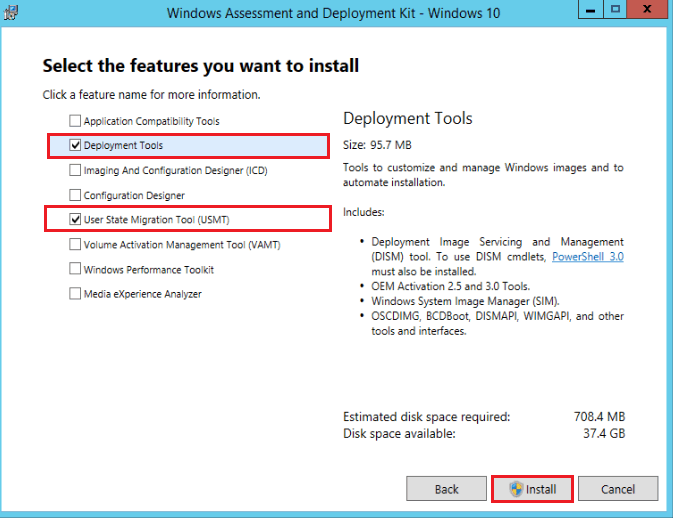 So first you need to install the ADK and then the Windows PE add-on in the SCCM server. Following are the Windows ADK and WinPE components which you need add or install. 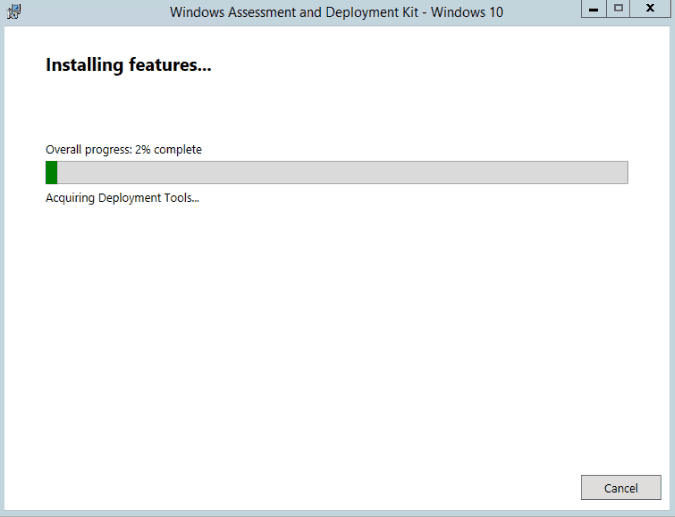 Windows PE add-on to supports post-RTM updates to tools in the ADK. 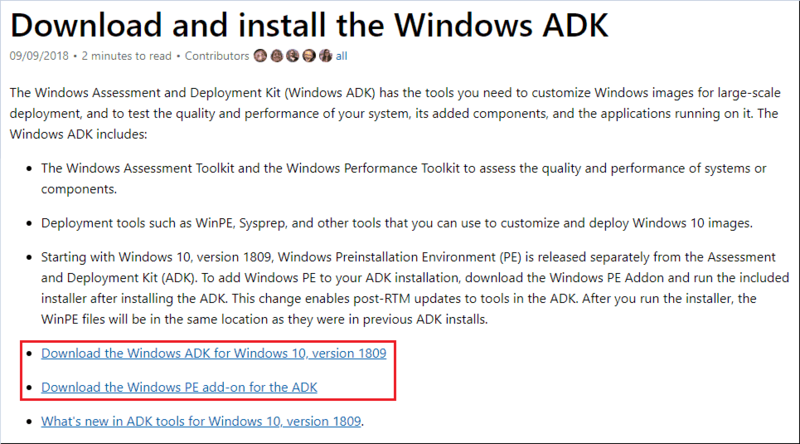 Note: Microsoft announced a change with WindowsADK starting with Windows 10 1809, Windows Preinstallation Environment (WinPE) is released separately from the (ADK. 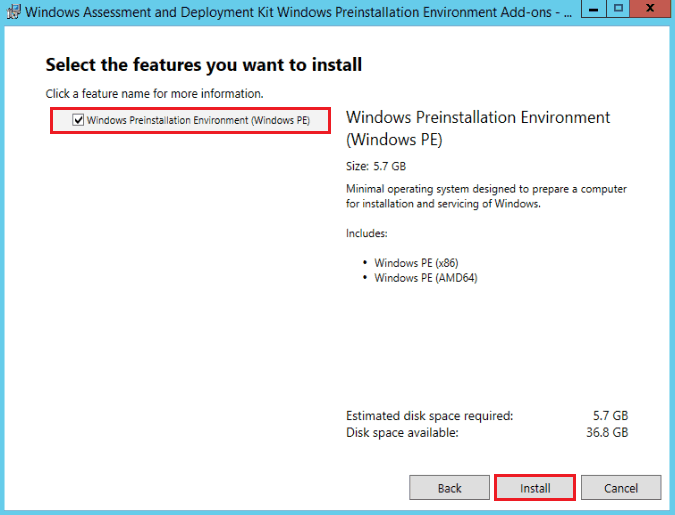 SO you need to add Windows PE to your ADK installation, by downloading the Windows PE Addon and run the included installer after installing the ADK. NOTE! – Windows 10 1809 ADK Known issue with highligted by a twitter user Pierre. More details in the Tweet. 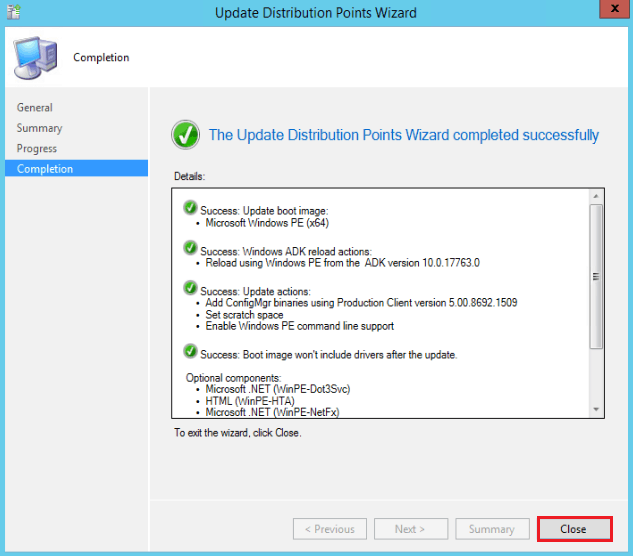 I have seen many questions in the forum and social media about ADK update and boot image update during SCCM upgrades. NOTE! 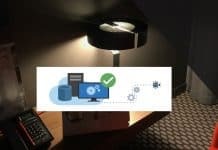 – I would recommend testing the latest version of Windows ADK in your lab environment and staging environment before upgrading it on your SCCM server. Ideally, if you are using customized version of boot image, then the SCCM upgrade won’t change the custom boot image. But the default boot images will get updated automatically with the latest version of ADK and WinPE add-on installed on the server. NOTE! 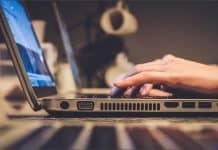 – Before Upgrading the Windows ADK version, make sure to note down the client version and OS version of the existing boot images as per the environment. Always check the compatibility of SCCM version and Windows ADK version before upgrading Windows ADK and WinPE. You can refer to the following link to get more details. 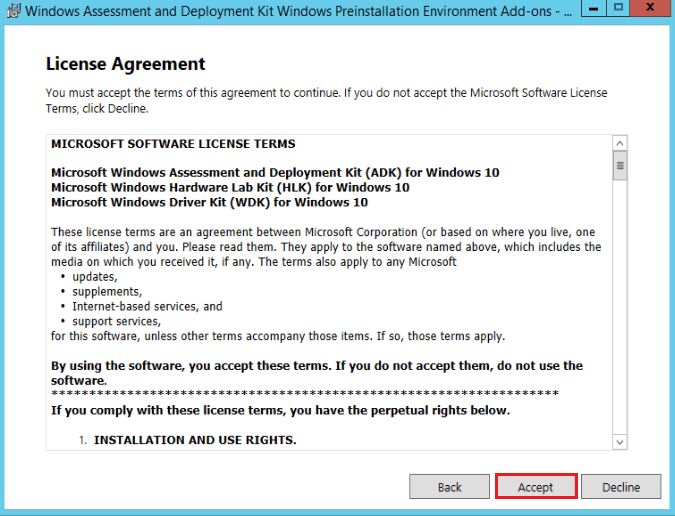 Let’s walk through step-by-step guide on how to install the ADK and Windows PE add-on tools. 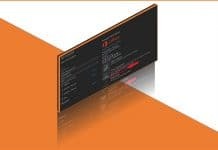 Before Upgrading the ADK version, ensure the client and OS version of the existing boot images as per the environment. 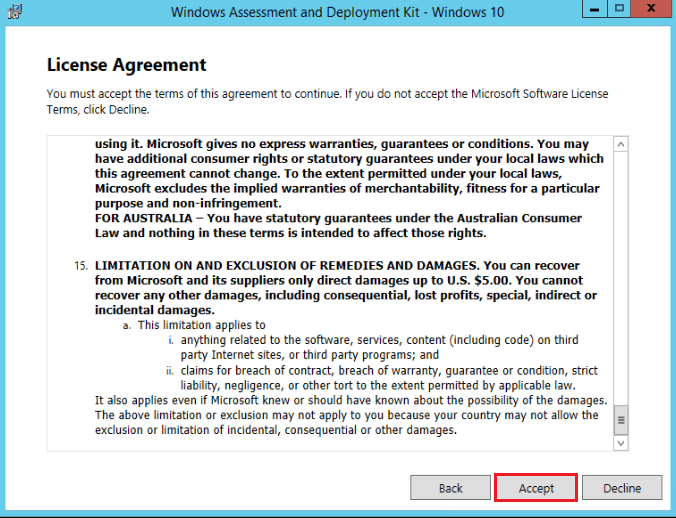 In order to continue with the up to date version of Windows ADK and WinPE, you need to uninstall the existing or older version of Windows ADK. Important! 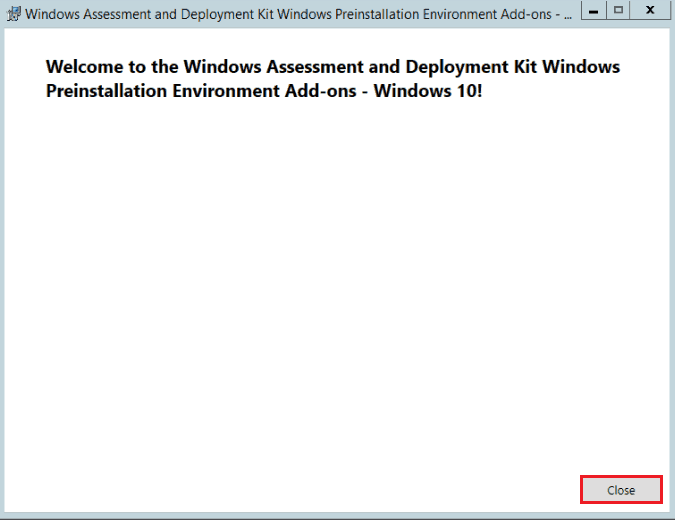 : note the existing installation path of Windows ADK. There are two ways to install the ADK. You can see both the details below. NOTE! 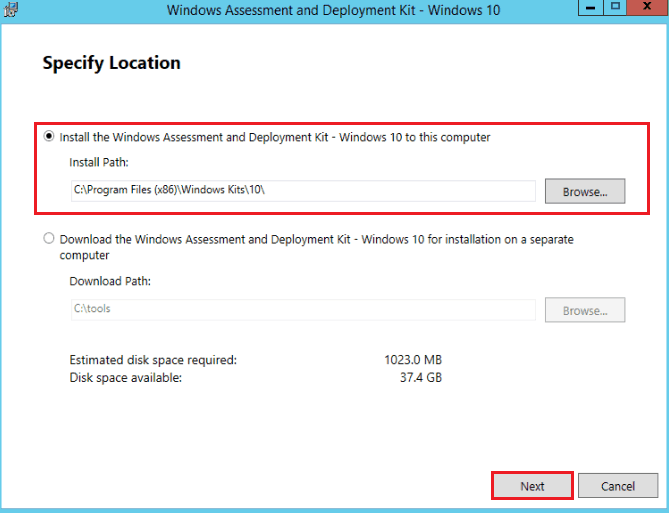 – Best Practice is to download Windows 10 ADK Offline files and install it on the server. Download the offline files and install it. 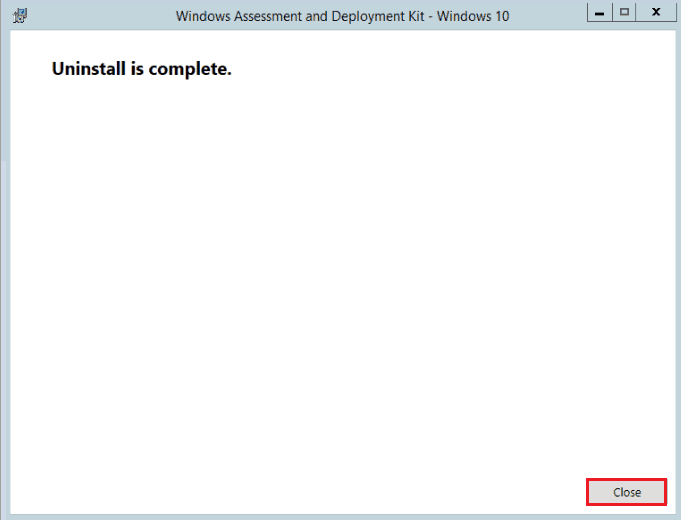 Select adksetup.exe and install with administrator mode. Select the required features. I recommend to select the least minimum required components. NOTE! – WinPE is missing in the core Windows ADK components. You need add WinPE as an add-on. More details below. NOTE! 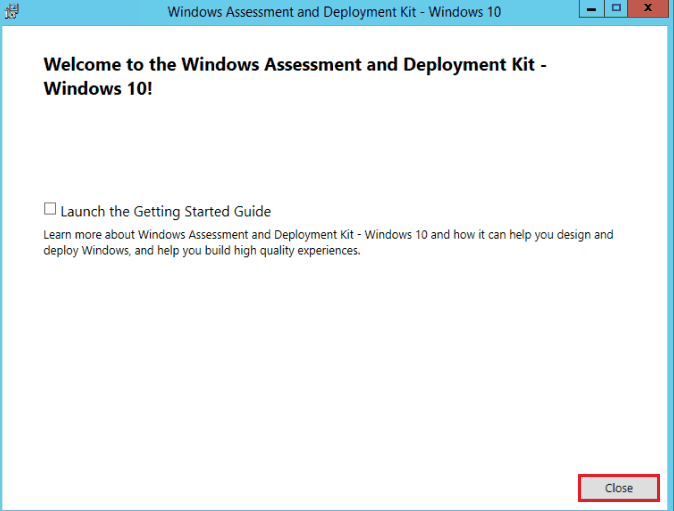 – Windows Assessment and Deployment Kits is installed now on your SCCM server. 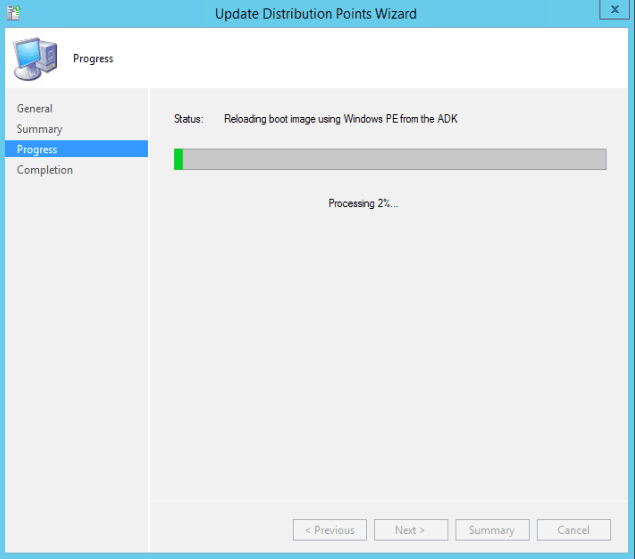 SCCM Windows ADK Upgrade is Completed NOW! NOTE! 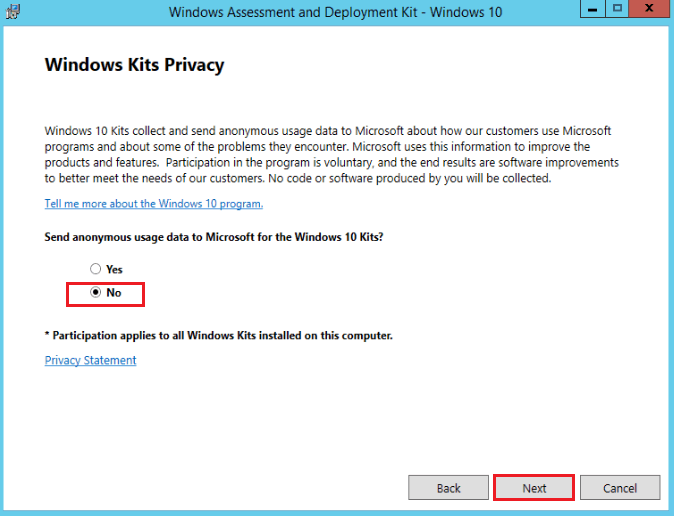 – Since WinPE is not part of Windows ADK 1809 or later, you need to install WinPE as an add-on as part of upgrade process of Windows ADK. Following is the first method, to install the Windows PE add-on from direct Internet. I would recommend doing with offline option wherever possible. Copy the offline downloaded file of WinPE to SCCM server. Select adkwinpeSetup.exe and install with administrator mode. Note! 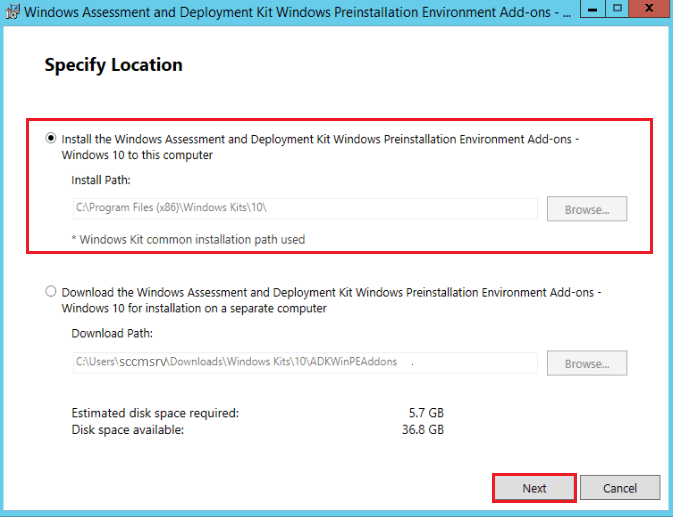 : Use the same installation path of Windows ADK (shown in the above – Update Windows ADK steps). NOTE! – It’s bit surprising to see the Disk space requirement as 5 GB for WinPE add-on. It includes Windows PE(x86) and Windows PE (AMD64). NOTE! 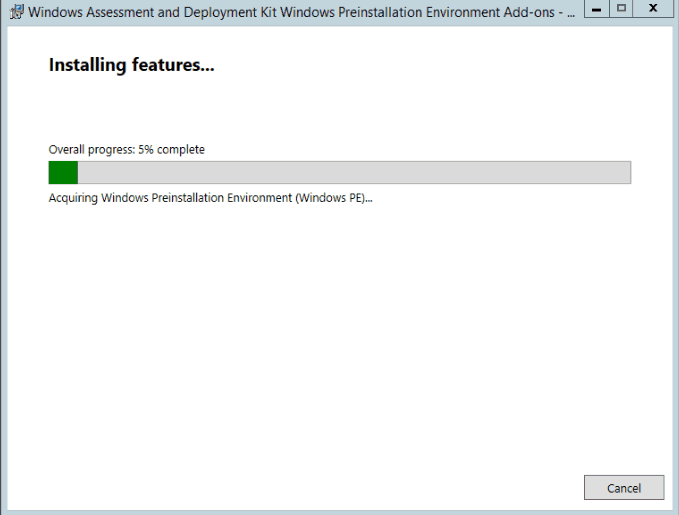 – Windows Preinstallation Environment (WinPE – Windows PE) Add-on is installed on SCCM Server now. 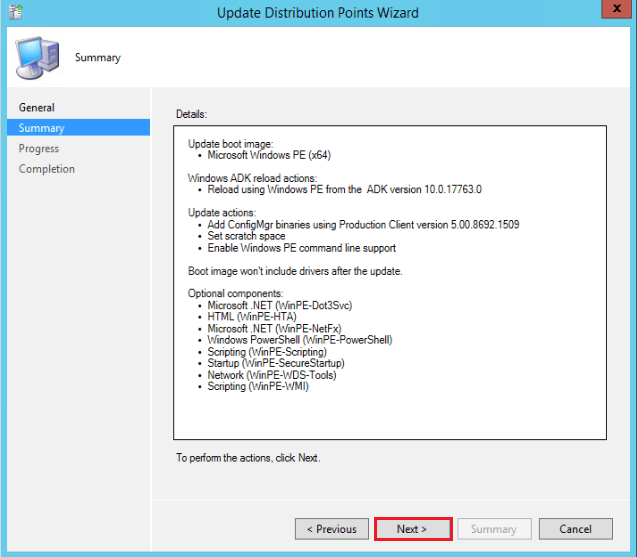 In this section you will be able to see how to update the SCCM boot images after Windows ADK and WinPE upgrade. NOTE! 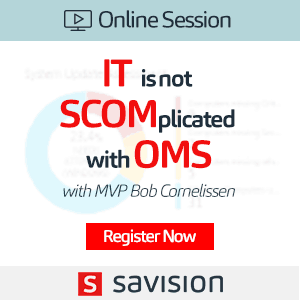 – Do you have some SCCM Boot Image Update issues? If so, I would recommend reading the following SCCM package distribution troubleshooting guide. 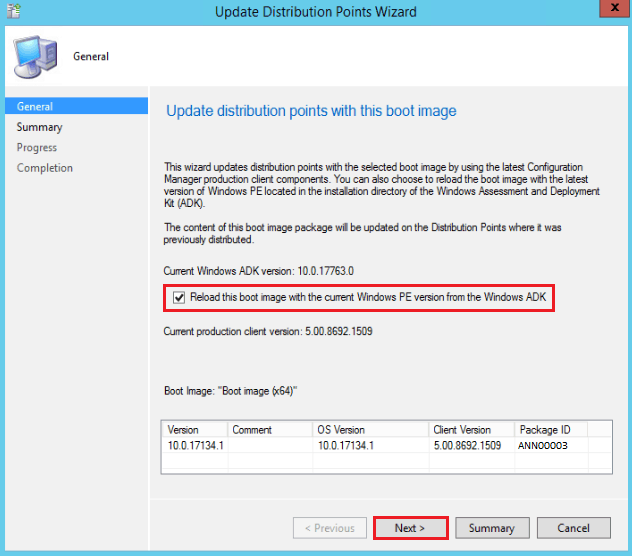 You can confirm the success of the WinPE, Windows ADK and Boot Image Upgrade from SCCM Console! NOTE! – Post boot image with Windows ADK upgrade, it will start distributing the updated boot image file to the distribution points. The OS Version updated for all the Boot image. 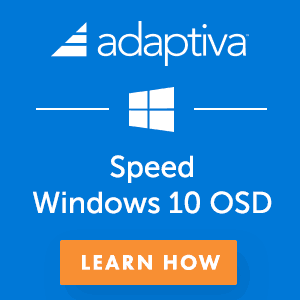 I would recommend going through this guide and my recommended way of upgrading Windows 10 ADK is explained in the guide. 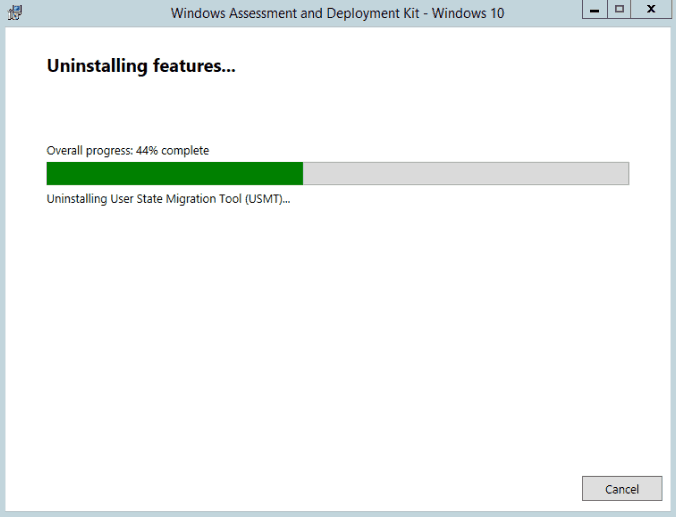 I would recommend to upgrade the Windows ADK before the SCCM CB upgrade process. I been doing it for many organizations. It works just fine. Kannan is a Technical Architect with more than 15 years of experience in the IT domain. He has worked on various technologies like Windows server administration, SCCM, SCOM, Desktop Engineering domains. For the last 10 years, he has been working in Microsoft SCCM with the focus on Configuration Manager and Intune technologies. It’s a good catch, I will add the point to the section. Looking for more detailed step by step guides and best practices from you. 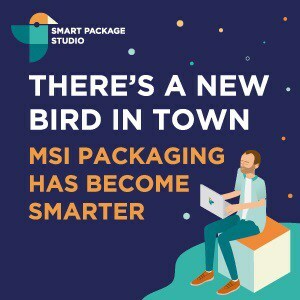 Nice presentation of the content. 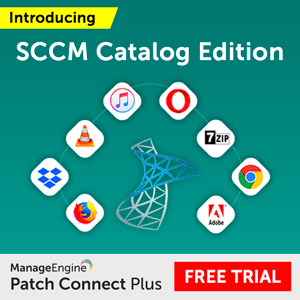 I’m wondering whether there is any plans for SCCM Application Creation or package creation step by step guide? What will happen if you had insert drivers into boot Image? Will they stay or will they go? Kannan got great experience in enterprise device management with SCCM. .
To answer your question – The drivers will stay in you MDT boot image if you have any. I have seen it many times. No impact there. I don’t recommend to use default boot image for OSD Task Sequence.